Caravan Roof vent/Skylight, Vented or Unvented?? 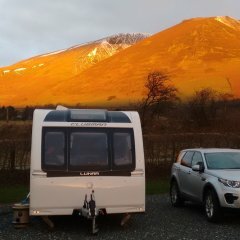 Hi, I'm new to this whole caravaning and I have a simple question. Should the roof vent over our caravan shower be vented or unvented? During the recent high winds the skylight above our shower was ripped off and I have been looking for replacements. I know the cut out size of 400 by 400 and the thickness of the roof at circa 25 mm. I have found the same style of rooflight but it comes with 2 options Vented or Unvented. links below.. Which should I use for my caravan? The skylight in our wash/shower area is vented as factory fitted. Most caravan skylights are ventilated, the one in the shower should be to get rid of condensation. The unvented are normally fitted to camping cars/Motorhomes to give a quieter drive compared to the vented version. Vented is fine for your caravan. Many thanks for all the prompt replies! We thought vented for the same reasons mentioned above!